1868 - Japanese painter Taikan YOKOYAMA was born in Ibaraki Prefecture. 1888 - Studied under Hogai Kano. 1889 - Entered Tokyo School of Fine Arts and studied under Tenshin Okakura and Gaho Hashimoto. 1893 - Graduated from Tokyo School of Fine Arts. 1896 - Became assistant professor of Tokyo School of Fine Arts. 1897 - Exhibited his work "Muga (Selflessness)" at the 2nd competitive exhibition of the Japan Painting Association, and won the bronze medal. 1898 - Resigned as assistant professor of Tokyo University of the Arts. Established the Japan Art Institute with Tenshin Okakura and others. Exhibit at the 5th competitive exhibition of the Japan Painting Association, and won the silver medal. 1899 - Exhibited at the 7th competitive exhibition of the Japan Painting Association, and won the bronze medal. 1901 - Went on a sketching trip to Kyushu and Hokuriku District with Shunso HISHIDA. 1903 - Held a exhibition with Shunso HISHIDA in Calcutta, India. 1904 - Held a exhibition with Shunso HISHIDA and others at the Museum of Fine Arts, Boston. 1905 - Held exhibitions with Shunso HISHIDA in London, Berlin and Paris. 1907 - Appointed to the Judge of the Bunten. Appointed to the Councilor of the Group for Attaining a Perfect National Painting. 1909 - Exhibited at the 3rd Ministry of Education Art Exhibition. 1913 - Restored the Japan Art Institute. 1924 - Established the Tanko-kai with Seiho TAKEUCHI, Gyokudo KAWAI and others. 1930 - Took a journey to Italy as an Ambassador of Art. 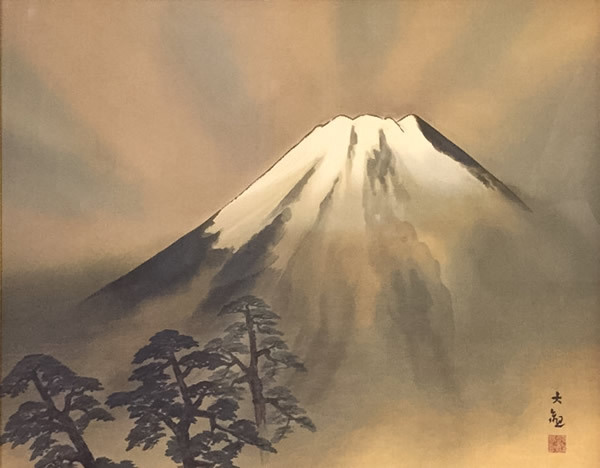 1935 - Appointed to a member of the Imperial Academy of Fine Arts (now The Japan Art Academy). 1937 - Given the 1st Order of Culture. 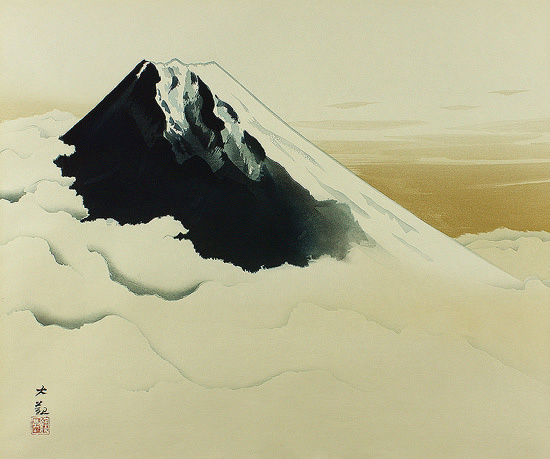 1958 - Taikan YOKOYAMA passed away at the age of 90.